When you custom make a letterman jacket, you create a jacket that embodies everything you want your high school years to represent. What Is a Letterman Jacket? A letterman or varsity jacket is usually a heavier styled coat that features school letters sewn on the jacket in a variety of places, such as the front, back, shoulders, and arms. These "letters" may not actually be letters, but instead symbols that represent activities in which the wearer participated. The jackets are often made of wool or a wool-blend material with leather or vinyl embellishments. "Letters" are usually chenille in design or embroidered directly on the jacket. The jacket is typically designed in the school's colors as well. In many cases, the letters that are featured on a letterman jacket have been awarded for participation or an earned-honor in a specific activity. In many cases, people associate letterman jackets with sports activities, but this isn't necessarily the case. Many students earn letters in a variety of other activities, such as drama, band, chorus, art, and even academics. Most letterman jackets have the following features in common. School colors-Primary color for the coat and accent color for embellishments. Leather or vinyl-Usually embellishing the arms and/or top and bottom of jacket. Stripes-Designed using the school colors, often featured on the arms or shoulders. Graduation number-Usually the last two digits, often featured on the jacket's arm or shoulder. Major and minor letters-Major letters (larger) signifying upperclassman achievement, and minor (smaller) signifying freshman or sophomore achievements. Letters usually feature the uniform number as well as the shape of the sport played, such as a football, baseball, etc. School mascot-Not every student chooses to feature the school mascot on a letterman jacket, but this is a common option. Personal name-Many students choose to have their name placed on the jacket, typically along the back. Some students prefer the use of their last name, while others want their nickname used. Jacket design-Jacket designs run the gamut from a hooded jacket, more retro style, or even the sailor look. 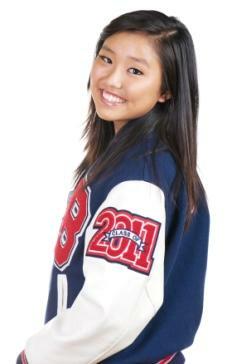 Before you can custom make a letterman jacket, you'll need to choose a jacket design or style. You can custom make a letterman jacket online or in a local store. Before you order, however, check with your school's business office. The school may have an agreement with a business that offers a discount for jacket orders. Although you certainly don't have to purchase from the business, it's always worth checking out all of your options. Building a jacket online typically offers you a variety of options, including a wide variety of pricing availability. Be advised that the more items you add to your jacket, the more the price will probably increase. In the same respect, the materials you choose for your jacket will determine the price as well. Before you order, take a look at several examples online, and of course, pay attention to other jackets you've seen on campus, too. What features did you like? What items are "must-haves" on your jacket wish list? What kind of letters do you prefer? Embroidered? Chenille? Do you want single or double felt background? What colors do you prefer for the jacket, letters, and felt background? Once you've made all of your choices, recheck your order carefully before submitting it. Check your receipt as well to be sure everything is stated exactly as you ordered it. Your receipt will be your proof of order, an important point if your order isn't custom designed exactly as you ordered. Be sure you can clearly see the colors that are offered so there aren't any unwanted surprises when the jacket arrives. Online companies include Mount Olympus Awards and Stewart & Strauss. Finally, if you are ordering from a local store, ask to see some of their merchandise. Try on jackets in the store so you know the exact size you need. Be sure you get a detailed receipt of the order in case any problems with the jacket occur, and examine your custom-designed letterman jacket carefully before leaving the store.